Looking to get into better shape but don’t know where to start? Maybe you’ve started on the journey to better health and fitness, but lack knowledge on the best exercises to burn fat and build muscle. Or maybe you just need someone to give you the extra kick in the pants you need to work out. Whatever the reason, joining a boot camp is a great opportunity to take your health and fitness to the next level. Spring is around the corner, which means summer follows soon after. And everyone knows that summer bodies are made in the winter! The B Squad™ boot camp for beginners will focus on the fundamentals of interval training. Interval training, also known as high intensity interval training, uses quick bursts of work with short rest breaks to create an effective workout in less time. Interval training also burns more calories long after the workout is over, known as post exercise oxygen consumption, or the EPOC effect. Using body weight and light resistance, you’ll burn fat and gain lean muscle. You’ll push each other in a group environment, make lifelong friends, and create an intention that will make your fitness a lifestyle. 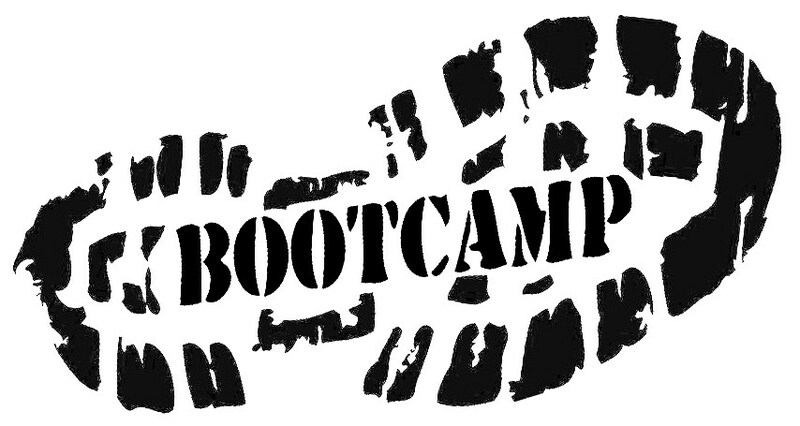 Please note: Boot camp registration is non-refundable. I want you to be committed to the program. A non-refundable registration ensures both you and me that you’re serious about getting into better shape! Reserve your spot for beginners boot camp now! You must sign your liability waiver prior to starting! Click here to submit.